Boxing Day traditionally celebrates when employers distributed money, food, cloth, and other goods to their employees. This holiday is celebrated on the 26th of December. 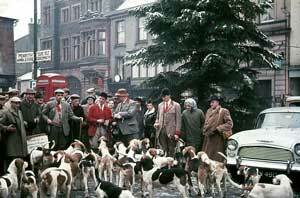 Boxing Day, in modern times, is celebrated through watching sporting events and starting post-Christmas sales. Schools, offices, and businesses are closed on this bank holiday. There are many stories of how this holiday came about. One of them states that after Christmas servants would be allowed to take a portion of the leftover food from Christmas celebrations. Another says that employers would give their employees a gift of food or money on this day.